Whether it’s Houston, Dallas, Fort Worth, or another Texas community that you call home, it’s quite possible that you’ve been mulling over a serious decision that all homeowners are faced with at some point or another. The question: to repair, or not to repair? Conversely, it’s whether you should go for a full-on roof replacement or try to save some money by getting by with your current roof. No matter which route you go, you need to make sure it’s the right one. The year is officially 2019 and, just like any other year, it’s important to make financially sound decisions. On the one hand, you might be saving money in the short-term if you elect to go with an affordable roof repair. On the other, you might choose to bite the bullet and replace the roof with a high-quality, durable roof that will last you at least twenty years. Sure, it might cost you more upfront than a simple roof repair, but you’ll end up spending less over the following years because you’ve solved the root of the issue once and for all, as opposed to papering over the cracks again and again. But how do you know which choice is the best for you? Excellent question! The fact of the matter is that it always depends — on a number of factors. Not only is the state of your roof important to consider, but you also need to take into account the age of the roof, the material of the roof, and other factors like the kind of climate you live in. Some Texas communities we serve at Rebuild Texas are more exposed to the elements than others. And likewise, others are more humid, which requires its own set of issues to consider when answering the question, repair or replace? So the simple answer is that you need to call in your local roofing contractor to help you decide. You might think that this will already set you back financially — and it might — depending on which roofing company you choose. 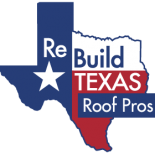 If you go with us at Rebuild Texas, we offer free roofing estimates for all the work we perform. If you could use a roof inspection on your commercial or residential roof, we are the roofing contractors to help you determine which route is best for you! Believe it or not, we have a promised blog topic to get to yet! 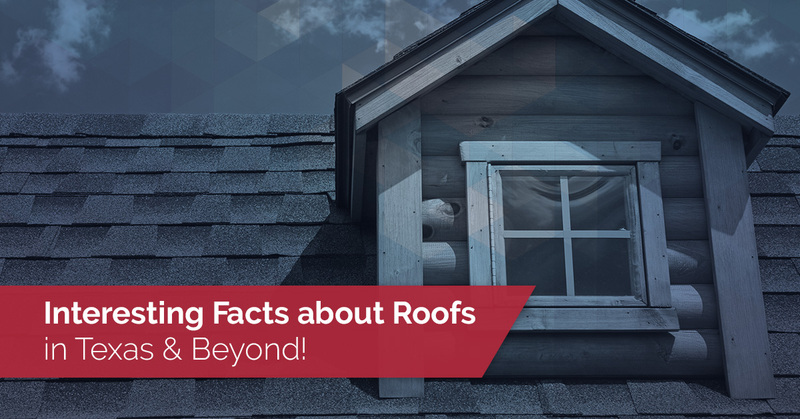 As the title of today’s post no doubt already gave away, today we are discussing interesting facts about roofs in Texas and elsewhere. So consider the above advice regarding the repair vs. replace conundrum one of the interesting and practical (if not random) roofing facts of today’s post. Without further ado, let’s continue! Metal roofs boast the property of being very resistant to strong winds. Considering the fact that the majority of us face moderate to severe winds here in Texas (at least from time to time), this is a point that’s worth keeping in mind the next time you get a roof installed. You don’t have to worry about every other shingle getting ripped off your roof the next time a severe storm comes your way. The large metal plates that are used on metal roofs are significantly sturdier. This should give you the peace of mind you need to sleep better at night if you live in high-wind regions! While we are talking about metal roofs and their many benefits, we might as well also mention that they need much less maintenance than most other kinds of roofs. You don’t have to worry about algae or mold, which can’t be said about other roofing materials like asphalt shingles. Metal roofs are also rust-proof. Basically, all you need to watch out for is that you’ll need to re-seal joints between metal panels every twenty years or so. When you consider that you’ll need to do some basic maintenance every couple decades (and that length of time is comparable to the lifespan of others roofing types altogether), metal roofs are often a great choice for your next Texas roof installation! If you notice a leak in your roof, the best move you can make is to give your local roofing contractor a call so that they can effectively diagnose the issue and put together a strategy. It might just be a simple roof repair that the contractor can complete in the matter of a few minutes. It might well take a second visit, however. Either way, Texans choose Rebuild Texas for our free estimates and dedication to providing thorough roof inspections. “Green roofs” might be worth your consideration if you are in the market for a roof replacement. They offer a range of benefits, including their capacity to cool buildings while limiting the runoff from stormwater. This naturally stimulates wildlife growth in local Texas habitats — a very good thing! The technology of roof shingles has changed significantly over the last years. Many modern roofing shingles have been designed with practical issues in mind. For example, some have algaecide and fungicides “built-in,” while others are deemed, “self-cleaning” because of how smooth they are. These self-cleaning shingles help lightly colored roofs appear cleaner. Contrast this to the past, when anything other than darkly shaded shingles would eventually cause your roof (and home) to look less than aesthetically pleasing. The final fact we’d like to note in today’s post is that being proactive about cleaning and inspecting your roof will go a long way toward saving you money in the future. Sure, it might be a hassle to get a ladder and check on the health of your roof every six months or so, but it sure beats the heck out of facing siding and roofing problems that require a total roof replacement. If you catch issues before they get too serious, they can be more affordable. Whether you hail from Houston, Dallas, Fort Worth, in between or none of the above, Rebuild Texas just might be the right Texas roofing contractor for you. Whether the roofing service you have in mind is commercial or residential in nature, we’ve got you covered. Ask about our military incentives and other financing options available! You’ve found your roofer in Houston at Rebuild Texas!